Tuna Kimchi Cakes with Soy Ginger Dipping Sauce are crispy, delicious and packed with flavor! 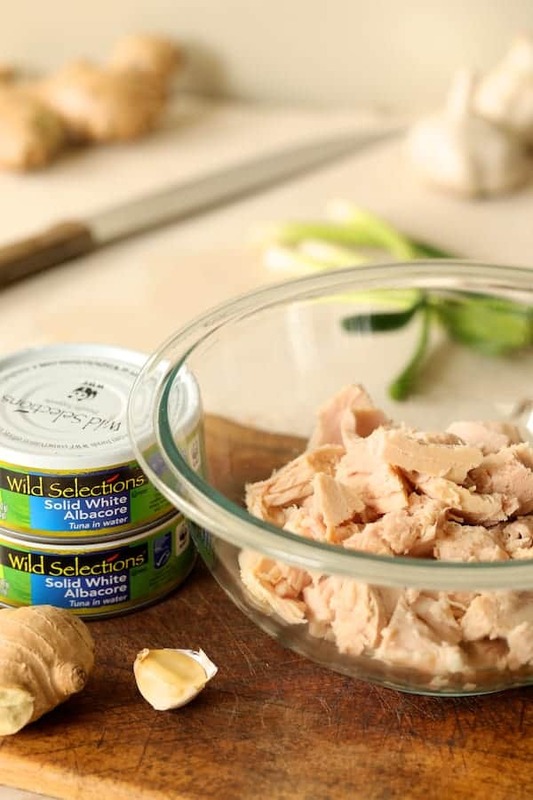 Made with Wild Selections® Solid White Albacore Tuna, it’s tuna you can feel good about eating. Simply click on the image below to shop for this beautiful and sustainable product from the sea! If you’re a tuna fan like I am, you’re going to love what I have to share! 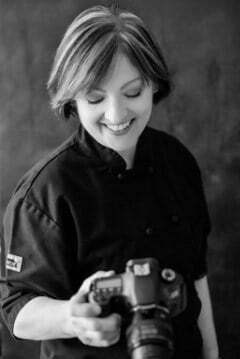 I care deeply about where the fish and seafood I consume comes from and how it’s harvested so I’m excited to share Wild Selections with you! 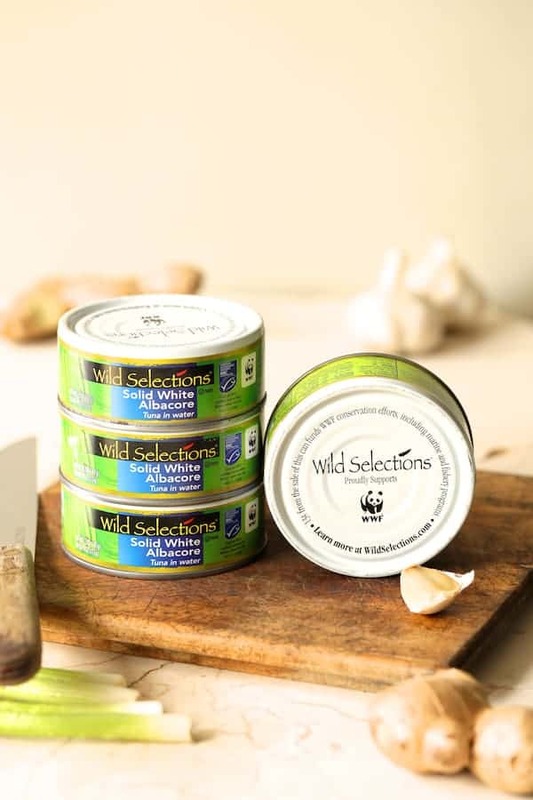 Wild Selections is the only brand of tuna that truly cares about sustainability and they act on it. They source tuna from ocean areas certified sustainable according to the Marine Stewardship Council (MSC) Standard. For the past 20 years, the MSC has been the world’s leading certification program for wild-caught, sustainable seafood. The MSC assessment and certification of ocean areas ensures the stock of fish harvested from those areas is healthy, well-managed and plentiful. That’s definitely the type of fish I prefer to eat! Wild Selections products contain simple ingredients, are non-GMO Project Verified and are traceable to the ocean area where caught. Best of all, Wild Selections pays it forward. They donate 13 cents from the sale of each can to support the World Wildlife Fund’s efforts to protect marine life and expand sustainable fishing practices. By the end of this year, they’ll have contributed approximately $1 million which will help protect our oceans for future generations. 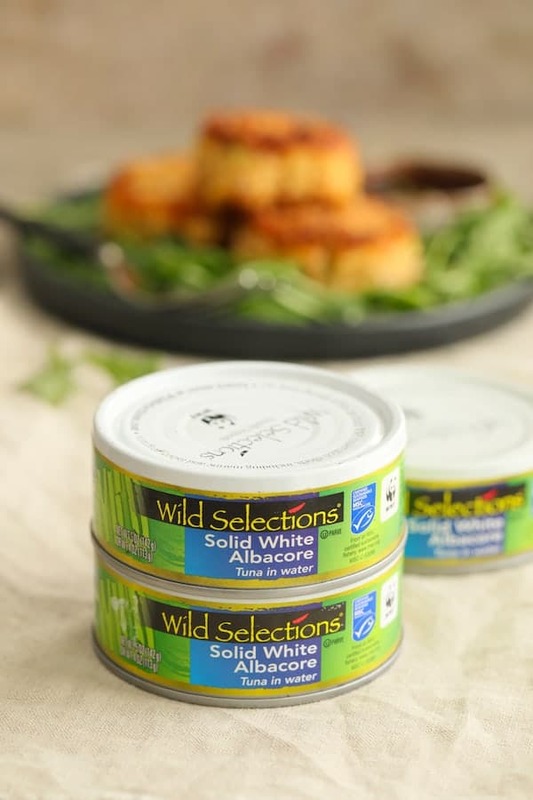 Wild Selections is tuna you can feel good about eating! And here’s a delicious way to enjoy this exceptional tuna: Korean-inspired Tuna Kimchi Cakes with Soy Ginger Dipping Sauce. I used Wild Selections Solid White Albacore Tuna in Water for these Tuna Kimchi Cakes. Although the tuna is packed in water, there’s actually very little of it so you don’t need to drain it for this recipe. I used panko breadcrumbs (which are dry) therefore they require moisture which will help hold the tuna cakes together. To eliminate waste and not have to use another ingredient, I used the small amount of water in each can as moisture for the breadcrumbs. When making these cakes, combine all the other ingredients first, then add the tuna. Adding the tuna last ensures everything will be evenly distributed. Because I make so many fish cakes, I’ve found forming each one by hand tedious and the results are often uneven. For even-sized cakes and to expedite the process, I use a 1/3-cup measuring cup. I simply pack the fish mixture into the measuring cup about three-quarters of the way then invert it onto a baking sheet. If there’s mixture left over, I simply add it in even amounts to all the other fish cakes. It’s a good idea to chill the cakes for an hour or two before frying. If you are in a hurry, place them in the freezer for 30 minutes or so. Chilling helps them “set up” so they’ll be easier to fry. While the fish cakes are chilling, mix up the soy – ginger dipping sauce. 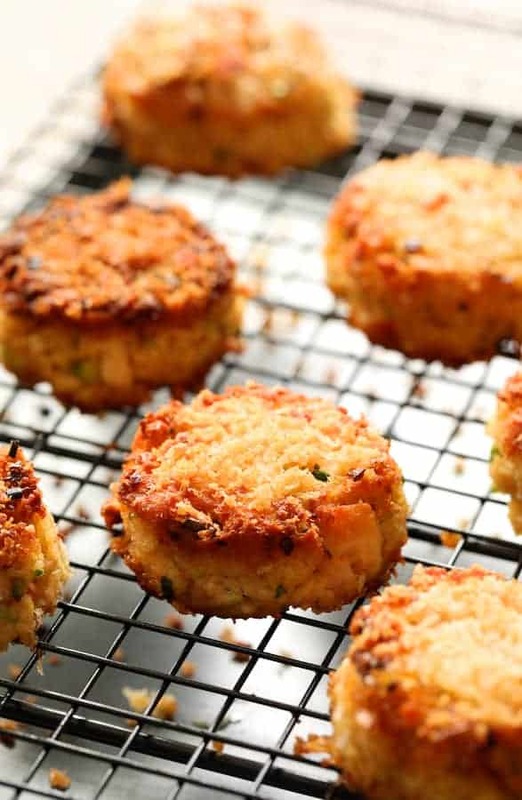 Coat the tuna cakes with panko breadcrumbs before frying. The panko creates a lovely, crispy exterior. Heat the oil to where it’s shimmering then add a pinch or two of the panko breadcrumbs. If the panko browns quickly, the oil is ready. When nicely browned on both sides, place on a cooling rack to drain. You never want to put fried food on paper towels because the bottom will get soggy. Placing the fried tuna kimchi cakes on a cooling rack to drain rather on paper towels ensures the bottom will stay nice and crispy. The result is a golden, crispy exterior with that delicious, solid white albacore tuna interior! 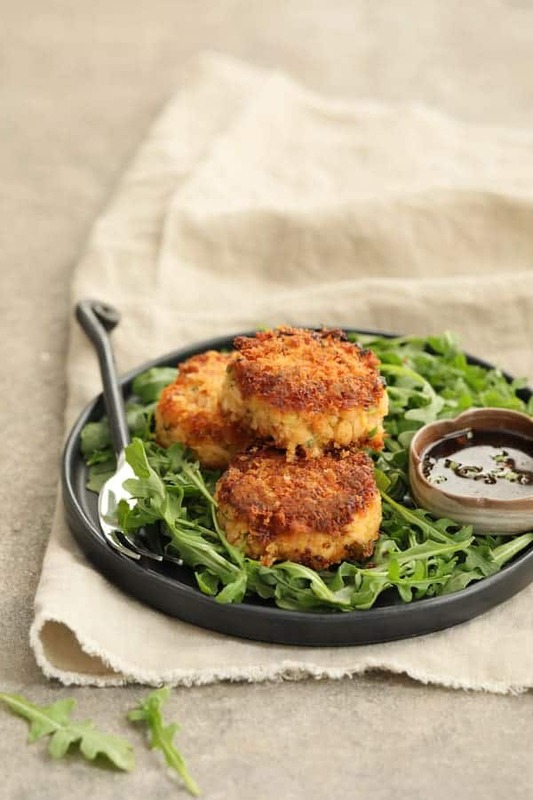 If desired, serve the Tuna Kimchi Cakes over peppery arugula for a lovely, light and elegant meal! Get more information at the Wild Selections website. Don’t forget! Click on the image at the top to buy Wild Selections! You’ll be glad you did! Tuna Kimchi Cakes with Soy Ginger Dipping Sauce are crispy, delicious and full of flavor! TUNA CAKES: Combine first 5 ingredients in a bowl and stir to combine. Add the tuna along with the water that's in the can and stir, flaking the tuna as you go. 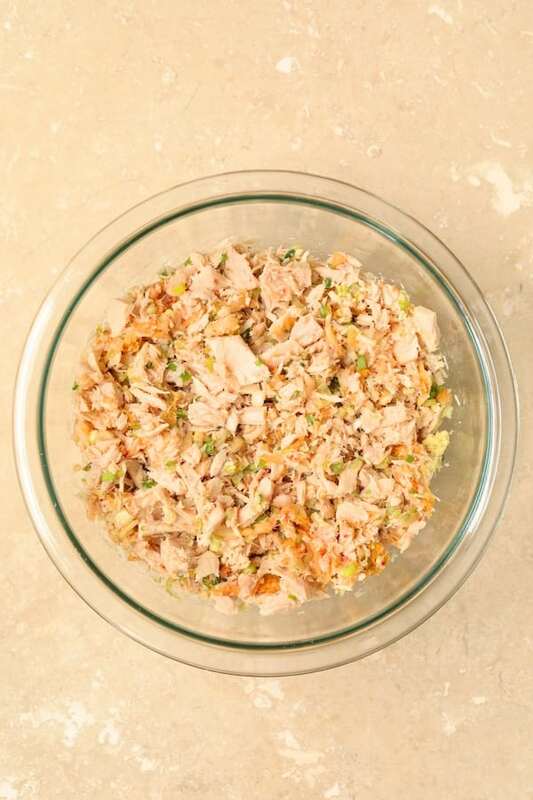 Using a 1/3-cup measuring cup, pack the tuna mixture into the measuring cup approximately 3/4 of the way. Invert onto a baking sheet. Chill for 30 minutes in the freezer or 2 hours in the refrigerator. Heat oil in a nonstick skillet or saute pan over medium-high heat until shimmering. Sprinkle each tuna cake with a little panko, then carefully place in the hot oil. Brown 2-3 minutes or until golden, top with panko again, then carefully flip. Brown the second side for 2-3 minutes or until golden. Transfer to a cooling rack set over aluminum foil or on a baking sheet. Repeat with remaining cakes. Serve over arugula if desired. 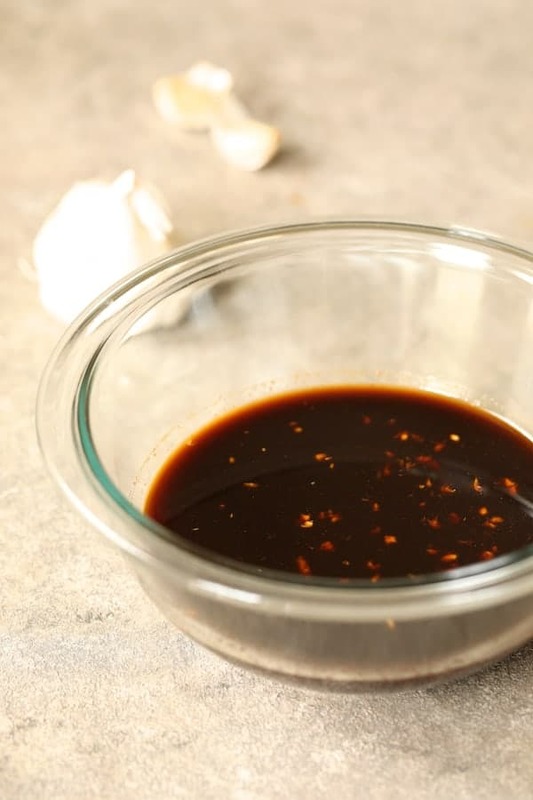 SOY - GINGER DIPPING SAUCE: Combine all ingredients in a small bowl and whisk to combine. FREEZER-FRIENDLY: Store in an air-tight container for up to 3 months. To reheat, place frozen cakes on a baking sheet. Preheat oven to 350 degrees and heat for 22 to 25 minutes or until heated through. These look absolutely divine – I’d love to make a batch for a simple weeknight dinner! And I agree with everything you wrote about the importance of sustainability – I will definitely keep an eye out for this brand, I’d love to feel confident that I’m putting a quality and sustainable product on the table! What a delicious combination of flavors! These cakes would be great for a different fish friday meal at my house! 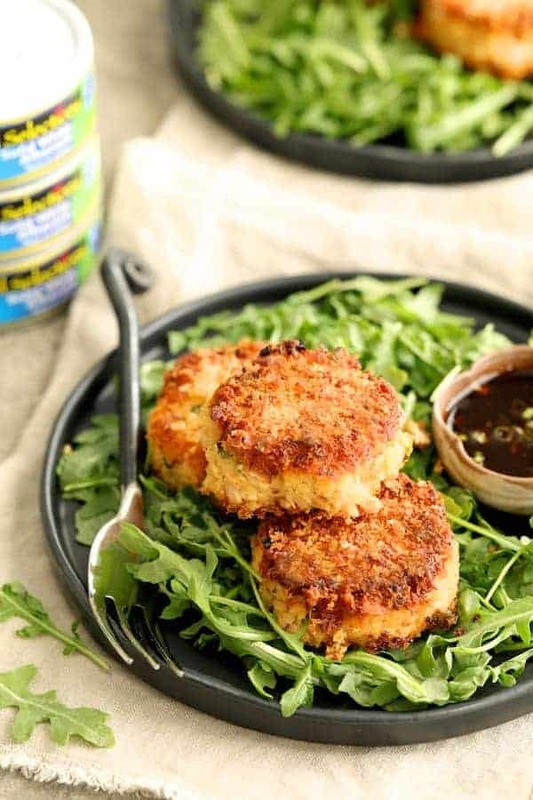 I’m a big fan of tuna cakes, but these ones are seriously PERFECTLY crisped!! And that dipping sauce sounds out of control delicious! Thanks, Sue! The panko on the outside is what does it. I can almost taste these!! Love the crunchy edges ….they look delicious too! And I would buy this tuna based on the info you provided…nice job! Ginger and soy are two of my most favorite flavors… how is it that I have never made a fish cake like this? Do you think canned salmon would also work well in this recipe? Hi, Meredith, Sure! I think canned salmon would work fine. Do give the tuna a try if you can find it. Hope you enjoy! These look so tasty and I love that you added kimchi to them! These are definitely going on my weeknight dinner list! Thanks, Kathryn! Hope you enjoy! We care about sustainability as well, so it’s good to know more brands are adamant about that now. Love that Wild Selections also support WWF! As for your tuna kimchi cakes, they look spectacular, Crunchy on the outside, soft and succulent on the inside. The Korean-inspired flavors are amazing. Thanks, Nicoletta! I’ve very careful about where my fish and seafood comes from so was very impressed with Wild Selections! We have been on a tuna patty kick lately – I rediscovered how much I love them! I can’t believe I’ve never thought to add kimchi. You are a genius! I am trying these next week. Thanks, Jordan! Hope you enjoy! We love our tuna but I haven’t seen this brand. I’ll keep my eye out for it. I’m glad that they are concerned about sustainability!! Now, this recipe is a dish I have to make for my son — he’s in South Korea right now. He loves the food and he’d be so surprised if I made it for him. Thanks, Marisa! Definitely give it this tuna a try! It also comes oil-packed so perfect in salads. Wow, these crispy cakes look so amazing!! And that dipping sauce! Yes, please!! We love tuna cakes in our home but I have never used kimchi or soy sauce in mine. I love how wondeful these flavors sound. I love kimchi very much and it always reminds me of my trips to south korea. That’s where I ate it the most. Love spicy food! Thanks, Veena! The gochujang in the dipping sauce really bring the Korean influence out. I love how you have taken canned tuna and elevated it. What a great and economical way to enjoy it. This is perfect to whip up any night of the week for dinner. I would even use it as an appetizer. I will have to give this great seafood recipe a try. Thanks, Gloria! It’s great tuna to begin with but with kimchi it really rocks! Hope you enjoy! It is so good to hear that there are some seafood companies that care about sustainability! Even though I am a vegetarian, I do miss fish the most sometimes. Thanks, Kate! I was super-impressed with their quality. Perhaps you could work this recipe with tofu? Thanks again!